U.S. Senator Lamar Alexander's office on Friday denied a report published in Politico that he will not seek re-election. 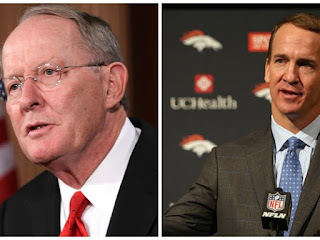 The same report suggested that "several Republicans are wondering whether Peyton Manning will run" for that seat. In fact, Tom Ingram, a top aide in Sen. Alexander's office and one of his longtime campaign leaders, told 10News he and the senator have already begun discussing the 2020 re-election bid. Even though he has made no formal decision to run, Senator Alexander has already begun fundraising for that campaign, according to a statement from David Cleary, his chief of staff. As to the mention of legendary Vol quarterback Peyton Manning, who retired from the NFL last year, he has not indicated any interest in getting into politics. Manning did speak at a GOP retreat on Thursday, though that event was not open to the press. Manning, a popular figure in Tennessee, owns property in the state where he played college football before heading to the NFL. Cleary acknowledged Manning's popularity in his statement, though didn't comment on his political aspirations. “Like everybody else in Tennessee, Senator Alexander is a big fan of Peyton Manning," he said. Knoxville leaders have worked out a compromise with a Loudon County woman who sued the city in October 2015 after officials declined to allow guns inside Chilhowee Park. The lawsuit, filed in Knox County Circuit Court on behalf of Pandora Vreeland, requested that the court issue a declaratory judgment to allow those with valid carry permits to "possess their firearms" inside the park. It was filed after the Tennessee Valley Fair, which operates each fall at the park, concluded. City leaders noted that Chilhowee Park’s name indicated it was a park, but that it was actually an exhibition center. The agreement between the city and Vreeland was reached Thursday afternoon. It essentially says that handgun permit holders are allowed to carry handguns in all outdoor facilities of Chilhowee Park so long as there is not an event. Guns are prohibited in the public assembly buildings like The Muse, the Jacob Building, the Kerr Building, Homer Hamilton Theater and Golden Gloves Arena. 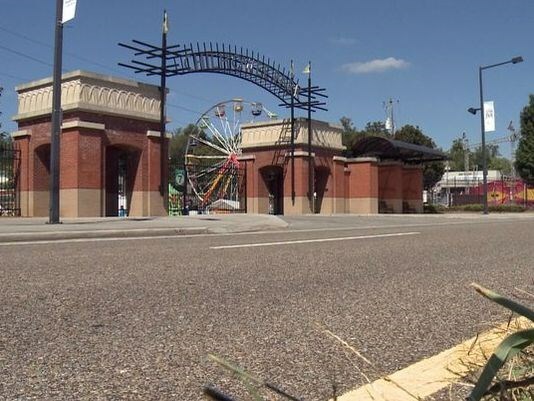 Guns also are prohibited in Chilhowee Park’s outdoor facilities during events so long as the event includes an admission charge, armed security and entrances that are marked with signs stating that firearms are not allowed into the event. In addition, handguns are prohibited in Chilhowee Park when the outdoor facilities are limited only to those who are invited to the event by a sponsor, such as a private club using the area. Again, however, for such events, the entrances must be secured against entry by the general public and marked with signs stating that firearms are not allowed inside for the event. The Tennessee Firearms Association filed a similar lawsuit against the city. That one hasn’t been settled. 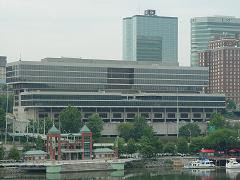 Knoxville Mayor Madeline Rogero and her staff will present updates to the City Council, including a mid-year budget review and status reports on major city initiative from 8 a.m. to 2 p.m. Feb. 10. The meeting, which is open to the public, will be held at the public works center on Morris Ave. Anyone needing a disability accommodation to attend the budget retreat should contact the City’s ADA Coordinator, Stephanie Cook, at scook@knoxvilletn.gov or 865-215-2034. For an English interpreter, contact the City Law Department at 865-215-2050. Say the words to anyone who follows local government and they’ll know just exactly what you’re talking about. It was a special called meeting of the Knox County Commission that took place on Jan. 31, 2007. At the time, the board was tasked with filling 12 term-limited offices. The meeting was riddled with accusations of vote-trading and marked by numerous restroom breaks as officials sneaked off to cut deals. At one point a newly appointed commissioner was even secretly sworn-in, so he could help cast a deciding vote for another officeholder and hook up a political friend. In the end, the board was found guilty of violating the state’s sunshine law. However, there also was some good that came out of that meeting. This Sunday’s edition of “Inside Tennessee” on WBIR 10News focuses on Black Wednesday and its aftermath. The guests are Knoxville News Sentinel editorial page editor Scott Barker and former county commissioners Mark Harmon and John Schmid. The 30-minute political and public affairs program, which was taped Thursday, kicks off at 9:30 a.m. Sunday on WBIR. Panelists include WBIR reporter Mike Donila, attorney Don Bosch and governmental relations specialist Susan Williams. WBIR reporter Michael Crowe serves as the show’s moderator. Gov. Bill Haslam tomorrow plans to announce the next piece of his NextTennessee legislative plan, policy proposals aimed at building and sustaining economic growth and the state’s competitiveness for the next generation of Tennesseans. His first part included raising the gas tax by 7 cents. Following the brief announcement, Haslam will join Tennessee Education Commissioner Candice McQueen at 10 a.m. for “Clear and Guided Pathways for High School Students,” an event to highlight Tennessee’s Drive to 55 and efforts to support students from K–12 to college to career. 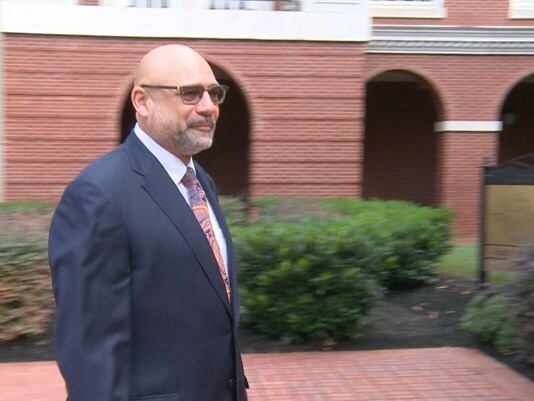 Former longtime state Rep. Joe Armstrong was sentenced Wednesday to three years of federal probation for tax fraud and ordered to pay back the money prosecutors say he failed to report to the IRS in 2008. In addition, Armstrong will spend six months on house arrest and wear an electronic monitoring device. He'll also have perform 300 hours of community service. In total, the ex-state House member will pay $99,943 to the IRS; another $40,000 in fines; and the cost of prosecution. Prosecutors were initially seeking as much as three years in prison for Armstrong. Last month, however, the U.S. Probation Office – using guidelines to determine his sentence – calculated a much lower penalty range based on the amount of taxes lost to the IRS. Prosecutors argued Armstrong cheated the government out of more than $100,000, an amount that carries a stiffer sentence. The court, however, sides with Armstrong, finding that the lost was just under that at $99,943. That $57 difference meant the ex-state representative was looking at a maximum of 21 months in prison. A federal jury in August found the East Knoxville Democrat guilty of filing a false and fraudulent tax return, a felony, after prosecutors argued that the ex-legislator failed to report taxes on a $312,000 profit he made from selling cigarette tax stamps in 2008. A month later, Armstrong officially retired from his 15th District the state House seat that he held for almost three decades. Because he's a felon, Armstrong can no longer hold public office again. Influenza activity has increased over the past month, and it is expected to continue in the coming weeks. To help protect the community, the Knox County Health Department will offer free flu vaccinations beginning today while supplies last. Free flu vaccinations are available at KCHD’s main location, 140 Dameron Ave.; the West Clinic, 1028 Old Cedar Bluff Rd. ; and Teague Clinic, 405 Dante Rd. Appointments can be made by calling 865-215-5070. Word traveling around the City County Building is that Knox County Sheriff Jimmy "J.J." Jones is contemplating a run for the county mayoral post. Jones is term-limited and cannot run for sheriff again. He can, however, run for mayor. Incumbent Mayor Tim Burchett also is term-limited. As it stands, county commissioners Bob Thomas and Brad Anders, and local GOP Chairman Buddy Burkhardt, who works for the sheriff's office, are set to square off in the May 2018 Republican primary. If Jones does decide to run, expect an announcement in the next couple of months. River Sports Outfitters will keep its location at the Cove in Concord Park. Knox County leaders approved a 10-year lease renewal for the business during Monday evening's commission meeting. Some community members spoke against the renewal because of trash and building conditions. They also claimed taxpayer money is being used to pay for repairs to the facility. River Sports Outfitters owner Ed McCalister told the commission that's not the case and that he's followed the rules. The commission signed off on the proposal in a 10-1 vote with only Commissioner John Schoonmaker dissenting. "The Cove at Concord Park is our premiere park in Knox County. We want everybody to come there and use it," Schoonmaker said. "But if there's questions regarding the…a vendor that's providing services to our citizens, I think that's important." The park will post a sign at the Cove to let people know how they can share feedback on the lease and the location. The Knox County Republican Primary is still a good ways off, but already one at-large commission seat is getting some interest. Larsen Jay, the founder of Random Acts of Flowers, filed his appointment of treasurer documents with the Knox County Election Commission on Friday. He named his wife. Jay is running for Seat 10, which is one of two at-large seats on the 11-member board. Incumbent Bob Thomas will not seek re-election and is instead running for county mayor. In addition, Justin Biggs said he, too, plans to run for that seat. He will probably make a more formal announcement in the coming months. Biggs is the son of Eddie Biggs, a well-liked chief deputy in the Knox County Sheriff’s Office. The Republican Primary isn’t until May 2018. In addition, former Commissioner R. Larry Smith in November announced his intentions to seek the other at-large seat (No. 11). He named Donald Henderlight as his treasurer. Incumbent Ed Brantley doesn’t plan to seek re-election. Another former county commissioner, Ivan Harmon, also is rumored to make a run at one of the at-large seats. As Gov. Haslam calls for a gas tax increase to help fund road improvements, one major project on TDOT's wish list is Chapman Highway. Anyone who regularly drives the 10 mile stretch of Chapman Highway from South Knoxville into Seymour knows it needs upgrades. TDOT cites "safety" as the reason. Every day, tens of thousands of drivers flood that corridor. TDOT says more than 30,000 vehicles travel the north end on a daily basis and more than 22,000 vehicles pass through the southern portion. The corridor in question stretches from Blount Avenue in South Knoxville, just across the Henley Bridge, to Boyds Creek Highway in Seymour, touching parts of Knox, Blount and Sevier counties. "We have a lot of traffic flow on this highway and makes it a very dangerous highway," Tim Geagley said. He would know a thing or two about safety. He's a firefighter and advanced EMT with the Seymour Volunteer Fire Department, as well as a Sevier County 911 dispatcher. "Chapman Highway is one of those roads where we have worked an accident, like, every hundred yards along its length," Geagley said. "There's been an accident at some point along the whole length of this highway." With no designated left turn lane along much of the route and some tight bends and hills, it's no wonder why TDOT lists "safety" as the reason for needed improvements. "I believe we work at least one to two accidents per week on this stretch of road," Geagley said. Haslam is proposing a gas tax increase - the first hike in nearly 30 years - of 7 additional cents for a gallon of gas and 12 extra cents for diesel. "I'm in favor for that," Geagley said. "If it's going to, you know, help with the safety on this road, yes." John Linsenbigler wears two badges. 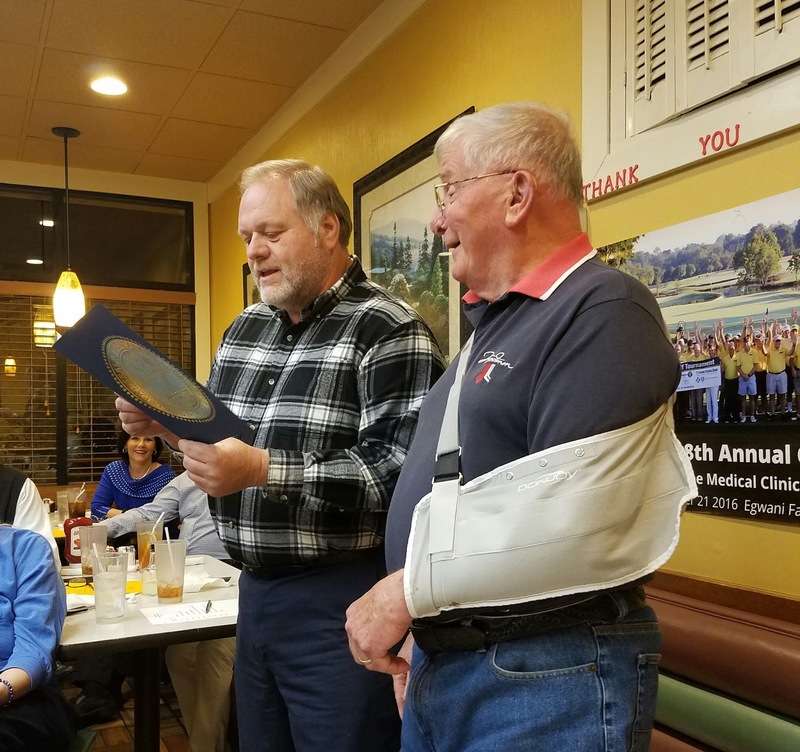 He's the Seymour Volunteer Fire Department's executive administrator and president of the Seymour Area Chamber of Commerce. In both roles, he said, he's in favor of improvements to this stretch of Chapman Highway. "There's a lot of commercial property that's available on the Chapman corridor, from John Sevier down to Highway 411," he said. "If they get this done, get the left turn lane in, that would open up more businesses for safe travel." It won't be a swift process, however. "Any time construction goes on, local businesses usually suffer because of reduced traffic," Linsenbigler said. "I look forward to the finished product ... It's not going to happen quickly because of the amount of below utility and infrastructure they have to put in." 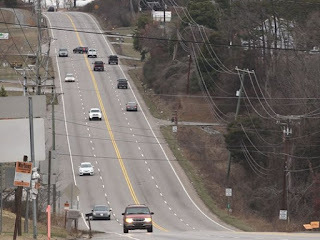 TDOT estimates the cost of the Chapman Highway improvement project at nearly $45.3 million. Altogether, Haslam said, the gas tax increase would raise an estimated $278 million to fund 962 road projects across all of Tennessee's 95 counties. The governor hopes to have most of the backlog construction projects at least underway within six years. Get ready for a patriotic showing on the Henley Bridge. Knoxville Mayor Madeline Rogero announced Thursday the city will light the busy downtown bridge in red, white and blue in honor of the presidential inauguration. Plans call for the bridge decking to be lit Friday, Saturday and Sunday. Donald Trump will become the nation's 45th president at a swearing-in ceremony that begins 11:30 a.m. Friday outside the Capitol. You can watch the event on 10News and live on wbir.com. City leaders in recent years have begun using the bridge across Fort Loudoun Lake more frequently to recognize local and national events. For example, the decks were lit in orange at the beginning of the month in a nod to the University of Tennessee's appearance in the Music City Bowl. 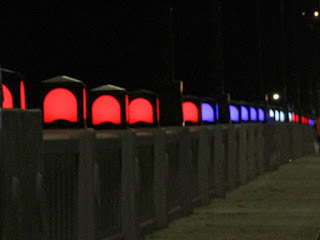 Last week it featured royal blue hues in honor of Dr. Martin Luther King Jr.
Next month, plans call for lighting Henley Bridge red for National Wear Red Day; green, gold and blue in honor of the Bassmaster Elite Series; and red and white for Valentine's Day. Henley Bridge also has been lit for sad occasions. Knoxville was among several American cities that received national attention in April after it displayed purple lights on the bridge upon the death of Prince, who loved the color purple. With construction on new Gibbs and Hardin Valley middle schools underway, the work of explaining which students will attend those schools is far from over. What was four public rezoning meetings scheduled by Knox County Schools administrators has grown to six as interest in the new Hardin Valley and Gibbs middle schools continues to grow. Parents in both communities have turned out in big numbers to get updates and express their concerns about how the district's existing middle schools will be rezoned to distribute students to all the schools. Knox County District 1 Commissioner Evelyn Gill has the most schools affected in her district. She predicts the coming changes will have a major impact. "Schools provide a framework and a bench mark for the next 10 years - where do we want to be? Serving the needs of students in those communities,” said Gill. According to August 2016 data from Knox County Schools, Holston and Vine middle schools were under capacity, while Carter was over by 173 students. The parents Gill represents say there's a number of issues. "People are positive that you have a neighborhood school in Gibbs, but to have a neighborhood school it impacts Holston and it also impacts the diversity at Holston Middle School,” explained Gill. More issues arise for parents who find themselves having to drive kids to school or rely on the bus system. “You travel 30, up to 45 or even 50 minutes on a bus to and from school. It’s extremely difficult to get affordable and safe transportation for families and students,” said Gill describing transportation issues that could arise. Gibbs and Hardin Valley middle schools are both set to open in 2018. Gill says parents with questions can learn more on the school districts website. They can also email questions or concerns to rezoning@knoxschools.org. High turnout is also expected at another zoning meeting set for Tuesday at Holston Middle School at 6 p.m.
Thousands of people from across the country will travel this week to Washington D.C. for the inauguration of President-elect Donald Trump, and several notable East Tennesseans will be among them. Gov. Bill Haslam is planning a trip to mark the occasion, as well as former Knox County Sheriff – and current Knox County Trump chair – Tim Hutchison. Former state GOP chair Susan Williams will also leave Thursday for the nation’s capitol. This will be Williams’ third inauguration. She said politics aside, it’s important to witness the peaceful transition of power. But she’s also a conservative at heart – and while she didn’t support Trump early in the campaign, now, she preaches party loyalty. “So it’s fun, time for the Republicans to come back, so I’ll go and party with my friends,” she said. But not everyone is hitting the road to show support for the new president. Terry Walker Smith, of Knoxville, will be attending the Women’s March on Washington on Saturday. She says her bus trip was sponsored by local organizers to help her tell her story. Walker Smith lost two sons to violence. In 2007, her son Djuansay was stabbed to death. In 2009, his brother Christopher was gunned down. Now, she advocates for justice for victims’ rights. Kimberly Peterson heads the local chapter of the Women’s March. She said they believe about 1,000 women will be attending from across East Tennessee. Both Peterson and Walker Smith are quick to note – not all attendees are there to protest Trump. Many hope to raise awareness for women's issues and stand in solidarity. “We are just very proud so many local women are getting out of their comfort zone and sending the message that women's right are human rights,” said Peterson. She also noted the local chapter has covered the trip cost for 14 women with a scholarship program. But whatever the reason for the trip, Williams said she hopes after this week, the U.S. can begin to heal after a contentious election season. "Hopefully we'll get him sworn in and everyone will go, ‘OK, he's our president now,’ and try to work with him,” said Williams. Knox County Criminal Court Clerk Mike Hammond is no longer pursuing a proposal to place most of the county’s court system under one umbrella, a plan he pitched in early November to some local leaders. Hammond first suggested the move to Knox County Mayor Tim Burchett in the wake of a WBIR 10News investigation in late October that detailed the county Circuit Court Office's failure to turn over any money to the county coffers – for the fourth year in a row and the fifth time in the past six years. The criminal court clerk is responsible for the criminal, sessions and fourth circuit courts. The circuit court clerk oversees civil sessions and juvenile court. In a two-page memo sent to the Mayor’s Office, Hammond proposed several options. Hammond’s second proposal - which he favored - would combine both operations but put everything under the control of the circuit court clerk, since the state constitution mandates that counties have a circuit court clerk, but not a criminal court clerk. Hammond proposes making that move by September 2018 when his and Circuit Court Clerk Cathy Shanks' terms in office end. Since neither are term-limited they could each run for the circuit court clerk position. Shanks at the time called the proposal "regressive." "I think what he wants to do – he compared it to Blount County – and that’s the model for small counties," she said. "Large counties don’t do that because it provides better customer service for the court systems to be divided so that they can meet customer needs better." The issue now is moot. Tuesday night's Knoxville City Council meeting featured a spirited debate over ordinances regulating who can and cannot pour a beer. A group of hopeful Knoxville business owners tried to explain the potential new market at the two-hour meeting. "It’s not a free for all. It's not open taps where you pay $20 to get in and you drink until you fall down," said Pour Taproom founder Nate Tomforde. "That's absolutely not what it's about." Pour Taproom operates in three cities, and a group of owners wants to put a new one in Jackson Terminal in the Old City. Their proprietary technology allows beer drinkers to pour and pay by the ounce. Encouraging sampling, but cutting users off once they reach a certain limit set by the business. "I don't think any of us were familiar with a self-pour bar,” said Councilman George Wallace. After discussion, the city council voted 8-1 to postpone the voting on the ordinance in hopes of crafting an ordinance that would better regulate this type of business. "The stop-gap measures they've put in to protect themselves and protect the public, what they've come up with is very ingenious,” Wallace said. 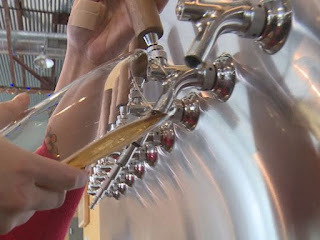 "It’s kind of flattering, that they're looking at us as a model of how they'll shape the ordinance in the future,” said Pour Taproom Knoxville CEO Joel McLead. The group behind the Knoxville location will continue working in hopes of opening in the spring. "The lease is signed, the coolers are ordered and the taps are on their way,” said McLead. If the business opens before the new ordinance is approved, they will have bartenders pour beers, which would require more man power. However, McLead said that's not going to stop the business from opening. Dozens of parents and community members, primarily from the Hardin Valley community, met with Knox County Schools administrators Tuesday for another informational meeting about possible middle school redistricting due to the new Hardin Valley and Gibbs middle schools. The main message from parents attending the meeting was a desire to keep community together in the same school. More than one parent said they purchased their current home because they wanted their kids to go to Hardin Valley schools. Asked whether the district would reevaluate other school zones after the middle school redistricting process is complete, Interim Superintendent Buzz Thomas said it's possible the district would look at other schools zones in the future. "We don't have a specific plan to open up high school and elementary school zones right now, but we may need to do that," he said. Thomas told attendees the district needs to have the new schools' administrators in place at least a year before the schools open, if not sooner. "We have talked about trying to appoint the principal this spring," Thomas said. There are two more rezoning meetings scheduled for Jan. 24 at Holston Middle School and Jan. 31 at Vine Middle School. The primary focus of those meetings will be the new Gibbs Middle School. The district has said a second round of meetings will be held this spring to present a rezoning proposal. People can also email questions and concerns about rezoning to rezoning@knoxschools.org. 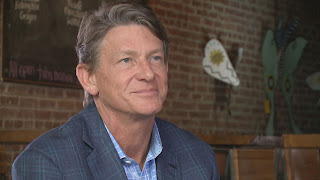 Knoxville businessman and baseball team owner Randy Boyd “is considering” plans to announce his 2018 candidacy for governor within the next month. The move comes as the longtime philanthropist and Republican steps down as the state’s economic and community development commissioner to return to the private sector. Incumbent Republican Gov. Bill Haslam is term-limited and leaves office after 2018. Other top Republicans rumored to make a run at the job include two members of the U.S. House of Representatives – Diane Black and Marsha Blackburn – and state Speaker of the House Beth Harwell. In addition, state Sen. Mark Green, R-Clarksville, has filed the paperwork to run. On the Democratic side, Nashville Mayor Karl Dean and Nashville businessman Bill Freeman are rumored to join the fray. The gubernatorial general election is set for November 2018. Boyd announced last week that he was stepping down from his job as Haslam’s go-to person for economic growth and development in order to return to the private sector. He leaves at the end of the month. Boyd heads Radio Systems Corp., which he created, develops area real estate and also owns the Tennessee Smokies AA baseball team. He also chairs tnAchieves, the partner organization to Tennessee Promise. Haslam, a former Knoxville mayor, tapped Boyd in 2013 to serve as a special adviser in higher education, part of a strategy to boost post-secondary training of the state's workforce. Haslam has previously credited Boyd with bringing some 50,000 jobs to the state and $11 billion in capital investments. In 2013, he served as the special advisor on higher education to the state where he spearheaded the Drive to 55 initiative and Tennessee Promise. Boyd told WBIR that on Monday alone he was approached seven times from people asking him his future political plans. He told 10News that he plans to take the first couple of weeks of February to decide if running for governor is right for him. He added that at one time he felt campaigning was tedious, but he now feels it’s a way to meet people around the state. We did a short interview today with former state Rep. Harry Tindell who announced his intentions to seek a city on the Knoxville City Council. Tindell, a Democrat, served in the state House for 22 years before opting not to seek re-election in 2012. He served on the Knox County School Board from 1986 to 1990 before joining the Tennessee General Assembly. Well, the things I did in Nashville were all locally relevant. Education – I was on the state and local government committee for 22 years and chairman of the local government committee. All local issues that you read about – they all start in Nashville – so I’m very familiar with local governmental issues. 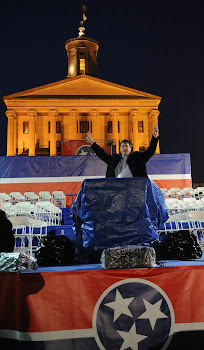 Then I finished up my career in Nashville as the chairman of the budget committee. That was of course good experience because you can’t run a government without a good budget. On whether he has a specific platform. I would say it’s two things. I am from the district . . . (and) I know the district very well. Two, the City of Knoxville is humming along at a really nice pace. Things are going good at Market Square, development, jobs, everything is going well here. What I say is that I’m not here to break the mold. What I want to do is build on the good things that we’re already doing – make it better, take it to the next level. I think like all residents there’s some things you would tweak. Broadway – you can’t talk about it or all the north Knoxville arteries without talking about the traffic congestion. At some point, we’ve got to address that . . . . I want to talk to the residents and here what they have to say and take their views to the council as well. I don’t think we need that in the present situation. Like I said, the city is well managed. They’re doing the things they need to do. I think you have to look at things as they develop but there’s no reason to raise taxes in the present based on what I’m seeing. On development in the district. I’m like everyone else. Know that if you drive to Turkey Creek you see a lot more choices of stores and restaurants than you do on this side of town, and I think the people over here deserve the same opportunities. Of course if the businesses are willing to come, we need to do everything we can to make Knoxville hospitable for businesses, so that we can grow the economy. I think downtown is a perfect example. Look at Market Square. You can’t get in a restaurant without a reservation sometimes. The movie theater was a big hit. We need to spread out from downtown and make the Broadway corridor, the Chapman High way corridor, Knoxville Center and all of Knoxville great. Well, I won the elections, I didn’t lose them, so I think there was some level of support from the people in the community. And I hope people will recognize that experience might be valuable I this coming period. And I’m offering myself to the voters and hopefully they will see it and elect me to the council. On moving from a state-held elected office to the local level. I don’t see the City Council as a demotion as any stretch – it’s important, it touches the residents of Knoxville in a big way. There were times in the state House delegation . . . I was the only one who had an all-city district so I have a real understanding and appreciation for what the city does for the residents. There’s an opening here and I think experience might be helpful for this present time. When you go to Nashville you pick a party . . . . The City Council elections have historically been absolutely non-partisan and people don’t talk about it that much. It’s about the people – it’s about the neighborhoods, it’s about the community. I can serve and represent Republicans Democrats and independents. On Saturday afternoon, a panel full of lawmakers came together to address issues they're representing this legislative session in front of journalists who cover the issues they discuss. More than 70 people attended the East Tennessee's Society of Professional Journalist's annual legislative luncheon. "This was one of the largest crowds I've seen at this gathering and it's that the general public is really engaged in what's happening right now in Nashville," Representative Eddie Smith (R-Knoxville) said. With the legislative session underway, lawmakers addressed plenty of issues on the table, including highway infrastructure, gas tax, open carry law and seat belts on school buses. "We need to do something but the question right now is what do we do?" Smith asked regarding seat belts on school buses. Smith said having seatbelts on school buses sounds great, but lawmakers have to look further into the law, not only because of the cost, but because of potential negative consequences. "Whenever we look at a law, we have to look at what are the intended but what are the unintended consequences of any law," he said. Representative Bob Ramsey (R-Maryville) says it will take research to figure out what's best. "Then it's up to us to find the funding and the revenue to pursue whichever statistically is the best solution for the safety of our students," Ramsey said. Another hot topic brought up was a letter sent to the president of the University of Tennessee opposing job outsourcing plans. "They are not asking for much. They are asking for job security and they are proud to serve the State of Tennessee so I think it's only right to support those that have been working so hard for the university of Tennessee and other state institutions," Rep. Rick Staples (D- Knoxville) said. 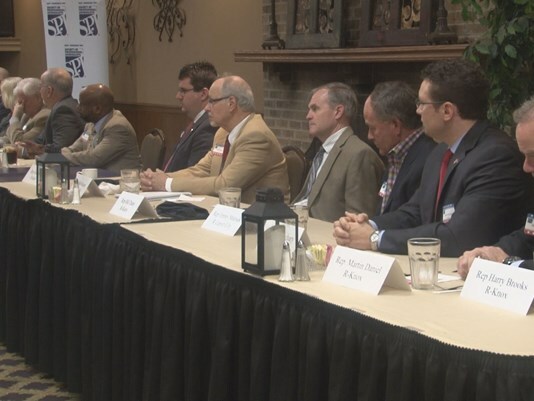 From seat belts to outsourcing, the conversation on big issues continues for these lawmakers in Nashville as the legislative session has just began. "It's important that they get to see who we are a lot of times it's just a name and see what we think about certain events, certain topics, and laws that are coming into place or action or consideration," Smith said. In a last minute rush Knox County Board of Education members were hoping for, the number of applicants for Knox County Schools Superintendent jumped to 24 just before the end-of-day deadline. On Friday morning, there had only been 11 applicants. The deadline to apply closed at 4 p.m. Friday. There are 24 official applicants, with one additional application that wasn't completed. There are two internal candidates and at least one other local candidate, according to KCS spokesperson Carly Harrington. "I sensed a little bit of panic earlier in the week," said Patti Bounds, Chair of the BOE. On Monday, member Amber Rountree, who is also overseeing the three-person superintendent search committee, said she hoped more people applied by the end of the week. “I would like to see some more folks and I have heard there are more folks planning to apply, and they just haven’t gotten their material together,” she said. The committee responsible for the search is made up of Rountree, Tony Norman and Susan Horn. Friday morning, Norman told 10News he was hopeful there would be more than 11 applicants. "I especially hope we'll get a few internal candidates," said Norman. The names of the two internal candidates were not immediately available. There is at least one local applicant. Dale Lynch, who currently serves as Hamblen County Schools Superintendent, applied Friday morning. "I had heard he was going to apply and I'm glad he did," said Bounds. Receiving 24 applicants for this position is a 'win' for the board, who went about the recruiting process differently than they had in the past. "I'm excited about the process. This is a little bit different than it's normally done. Many school systems in our area use outside search firms," said Bounds. Outside search firms can cost up to $80,000. Knox County Schools used one in 2008, when Dr. Jim McIntyre was selected. Bounds said not using an outside search firm will give them more control over the candidates. "Sometimes those search firms also have some preferred candidates, so they'll eliminate people on their side before we even get to see them," said Norman. On the morning of Jan. 17, the three-member search committee is scheduled to look at who has applied. Rountree says the goal is to identify perhaps five solid candidates from among all who have applied and go from there. Norman says the people in his top five will be applicants who have "a heart for the classroom" and "significant administrative experience and experience with large school districts." Bounds agrees with Norman's desire to have a superintendent with classroom experience. She also hopes their new chief will have many of the leadership qualities Interim Superintendent Buzz Thomas has. "He is very much a servant leader. He understands the role of the board and of the superintendent," said Bounds. For now, the superintendent search is closed. However, Bounds says it could reopen at any time if the current applicants are not up to standards. Bounds said the hope is to have a new superintendent in place by summer, but are willing to sacrifice that timeline for the right person. "More importantly is getting the right person. The last two left without completing their contracts and I don't want to see that happen again," said Bounds. At the end of the application period on Friday, 24 people applied to be the next Knox County Schools Superintendent. Below is a list of the 24 applicants. Superintendent of the Atlantic Highlands, Highlands and Henry Hudson School District in Highlands, New Jersey. Compton previously served as the superintendent for the Russell Independent School System in Russell, Kentucky. In 2013, Compton was selected as one of the finalists for the Oak Ride school superintendent position. Assistant superintendent for administrative services with Knox County Schools. Thomas attended The University of Tennessee and has worked as an educator in Knoxville since 1973. Thomas has served as the Knox County Schools assistant superintendent since 1990. Thomas was selected as a finalist for the superintendent position back in 2008. Executive Director of State and Federal Programs for Youngstown City Schools in Youngstown, Ohio. Leech has worked in the education system since 1996, starting as a science controller and working up to principal of Youngstown City Schools in Ohio in 2014. Superintendent of Agape Public Charter Schools out of Fresno, California. Has served in various administrative positions over the years, including as principal of Fuller Elementary School in Chicago for three years. Earned her master's in education in 2009 at Walden University in Minneapolis. Interim Assistant Superintendent and Chief Academic Officer for Knox County Schools. In 2014, Rysewyk was unanimously named as the founding principal of Emerald Academy after serving as executive principal of Fulton High School from 2008 to 2012. 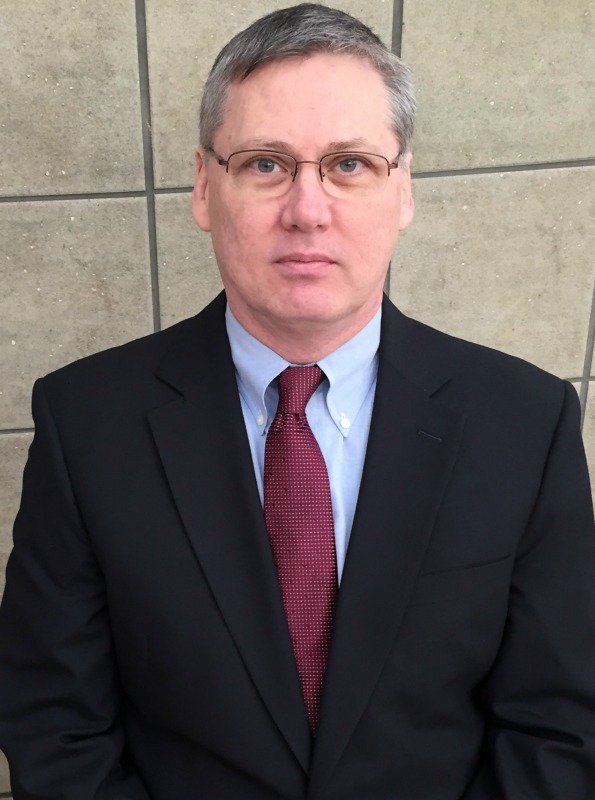 He earned his master's degree in education from the University of Tennessee, and has served as an educator since 1999. Chief Academic Officer for Leon County Schools in Tallahassee, Florida. Greenberg is a longtime Florida administrator and has been looking to move up to a superintendent position. In 2015, he applied for a superintendent position to lead Metro Nashville's school system. Serving as Unified Services Director for Tennessee Education Association since 2014. Williams oversees District 4, which includes Knox County Schools, Pellisippi State Community College, the Tennessee School for the Deaf, and the University of Tennessee. He earned his doctorate in education administration and policy studies from the University of Tennessee. He's served in a variety of administrative positions, including being the longtime principal of Cosby High School in Cocke County. ESE Inclusion Teacher for Jesse Keen Elementary School in Lakeland, Florida. Blair studied public relations and earned his master's in special education at Austin Peay State University in Clarksville. He has worked primarily in Florida, serving as a special education teacher since July 2005. Adjunct Professor in public administration for Tennessee State University. Spears has a long-standing background in government policy advising and non-profit leadership. He created and runs Spears Strategy and Strong Schools, two advocacy agencies. Executive director, curriculum and schools for Robbinsdale Area Schools in Minnesota. Gadson previously served as the associate superintendent for Atlanta Public Schools in Georgia. Gadson has served as an educator since 1993, starting out as a teacher at Woodlands Middle School in West Palm Beach, Florida. He earned his doctorate in higher education administration at Washington State University. School leadership officer for Harrison District 2 Schools in Colorado Springs. Has served in educational leadership positions, including principal of Community Education Partnership in Houston, an alternative school for at-risk students. Superintendent of Des Moines Municipal Schools in Des Moines, New Mexico. Clinical Assistant Professor for the University of Tennessee at Knoxville. Chief Academic Officer for Framingham Public Schools in Framingham, Massachusetts. Principal for Oak Hills High School in Cincinnati, Ohio. Superintendent of Schools for Hamblen County Schools System in Morristown. Superintendent of Schools for Carter County School District in Kentucky. Assistant superintendent of the 3,500-student Summit County School District in Colorado. A former ‘superintendent of the year” by the National Association of Superintendents, Gray stepped down as leader of the Jackson Public Schools, a 28-000-student system in Mississippi. He previously worked as the director of schools in Fayette County in West Tennessee but left in 2012 after questions about financial discrepancies in school spending arose. Secondary coordinator for the 47,000 student, 59 schools Collier County Public Schools in Naples, Fla. He also serves as an adjunct professor at Florida Gulf Coast University. He previously worked as a teacher and principal for Montgomery County Public Schools in Maryland. An educational consultant since 2010, he also served as the assistant superintendent of Washington County Schools in Abingdon, Va. From 2006 to 2010. Superintendent of the St. Louis charter school Preclarus Mastery Academy. The school, which for years had a high student absentee rate, has seen some improvements. Harris previously worked as an assistant principal in for District of Columbia Public Schools. Learning Community Director for Aurora Public Schools in Colorado. Prior to assuming an executive role, served as principal of Woodland Middle School in Fulton County, Georgia. Wright earned his master's in educatioal leadership from Lincoln Memorial University. Principal for Parrotsville Elementary School in Cocke County. State lawmakers keep talking about a so-called $1 billion surplus, but two key members of the local Legislative delegation say the number is more a myth than a reality. As it stands, the state might have roughly $925 million in extra money this year, but much of it has already been allocated. The topic is part of this Sunday’s edition of “Inside Tennessee” on WBIR 10News. The guests are Knoxville Republican state senators Becky Duncan Massey and Richard Briggs. The discussion comes as the General Assembly convened on Jan. 10. Briggs said Gov. Bill Haslam’s finance team met with state lawmakers recently to talk about the surplus. Briggs and Massey didn’t want to get into too much detail, but both agreed that there is roughly “$100 million to $150 million” that hasn’t been allocated. Massey said the surplus came from a “combination of fiscal responsibility” and revenues from business growth. On Thursday night, Knoxville's beer board met to address what they say is a community health concern - minors across the city buying alcohol at an alarming rate. According to the Metro Drug Coalition one third of Knoxville high school students reported trying alcohol. "There’s not one particular area this is a citywide problem,” said Beer Board Chairman Brenda Palmer. The Metro Drug Coalition presented KPD data comparing compliance rates in 2015 and 2016 that reflects the number of businesses cited for selling alcohol to minors. The number of beer stings went up by more than 100 when comparing the same time frame. "We want businesses to be successful in the community but they also have a responsibility to the community,” said Metro Drug Coalition Executive Director Karen Pershing. Businesses that sell to minors are subject to fines and stiffer penalties for repeated offenses. Along with MDC, two groups presented plans to help Knoxville businesses check IDs and stay on the right side of the law. Along with new technology board members also discussed increasing fines and deterrents to stop businesses that continue to break the law. "You can prevent a lot of this by training your employees on the front end,” said Pershing. According to a city study, the businesses most likely to sell to a minor aren't liquor and grocery stores, but bars and restaurants where people consume alcohol on site. Thursday's meeting began the process of forming a better plan to combat what the beer board says is real public health issue. "You’re not a minor's friend if you provide them beer wine or liquor,” said Palmer. On Feb. 7, the beer board will view the permit for a South Carolina business looking to come to Knoxville. The business wants to allow self-serve craft beer. But Tuesday night the city council will consider an ordinance that would ban self-serve beer. 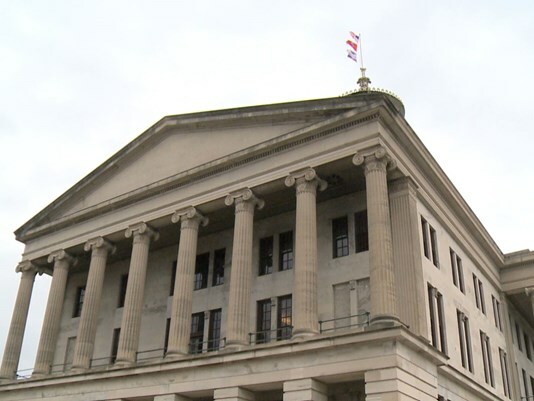 An almost $1 billion budget surplus for the state of Tennessee may sound like a good thing, and many lawmakers say it's better than the alternative, others are pointing out that means more money should be staying in your wallet. "If we've got a $1 billion surplus, we're obviously taking too much away from the public," said state Sen. Frank Nicely, a Strawberry Plains Republican told WBIR 10News. Tennessee lawmakers expect to decide this session how to spend $925 million in extra money this year. It marks the third straight year the state has taken in more money than expected. State Sen. Doug Overby, R-Maryville, doesn't think the total will end up being quite that high once other expenses come out. "A lot has been made of having a budget surplus. The fact of the matter is, in any given year, there are some natural increases in the state budget," Overby said. He said increases in Basic Education Program funding and TennCare typically take some of the surplus. But there will still likely be money available at the lawmakers' discretion to spend. "I think we have to look at spending it wisely. As the Governor said, 'Let's not be stupid rich, let's be smart rich,'" said state Rep. Eddie Smith, a Knoxville Republican. Many lawmakers agree two major needs deserve priority: education and road improvements. "I would like to see teachers get a raise, K-12 teachers, and I'd like to see some of that surplus going toward road construction or road maintenance," said state Rep. Martin Daniel, a Knoxville Republican. Niceley and other representatives didn't go into specifics, but suggest lawmakers should find a way to return the money to the taxpayers. "I'd like to give it back to the people," said Nicely. "I want to know what is the mechanism to not collect so much that we have a surplus because that means we're over collecting somewhere," said state Rep. Roger Kane, a Knoxville Republican. 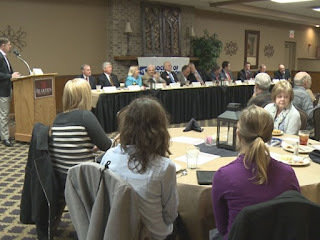 More than a dozen local legislators are gathering for a public panel discussion this Saturday. The East Tennessee Society of Professional Journalists is hosting its annual Legislative Luncheon. This is an opportunity to find out where your legislators stand, engage with them and hear their priorities for the 2017 legislative session. Members of the public will be able to submit questions to the panel. The event will take place at Bearden Banquet Hall on Kingston Pike in West Knoxville. Doors will open for lunch at 11:30 a.m. and the panel discussion will start around noon. Cost for the lunch is $15 in advance for SPJ members, $18 in advance for non-SPJ members and $20 at the door. If you don’t plan on eating, the event is free. Donations are encouraged for coffee and tea, which will be available. The event is open to the public, but reservations are required for lunch. Please reserve your lunch ticket HERE. Information on the event and ETSPJ is available HERE. 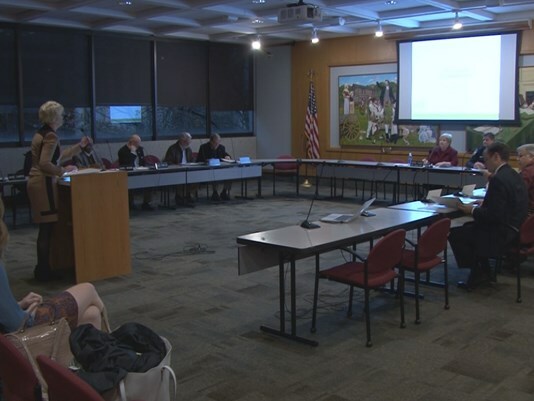 With a Friday deadline looming, Knox County school board members say they’d like to see more candidates apply to be the next superintendent. As of Monday, nine people have put their names in to lead the district of some 59,500 students and 8,000 employees. Board members briefly discussed at a workshop Monday night details of the application process. Member Amber Rountree is overseeing the search on a mini-committee that consists of her, Tony Norman and Susan Horn. Rountree says she’s not ready yet to end the process right now. Applicants so far include people who have overseen smaller districts and some charter schools. Board members aim to offer somewhere between $200,000 and $240,000 a year for the position. Norman said it’s possible the market might demand more for such a leadership position, but he also thinks someone making an annual salary of $240,000 would be very comfortable in East Tennessee. Board member Lynne Fugate on Monday night expressed concerns whether $240,000 would be adequate to draw the kind of candidate they’re looking for. It’s possible the search committee could come back to the board with a recommendation that the search process continue. Buzz Thomas of the Great Schools Partnership has agreed to serve as interim leader until this summer. Superintendent Jim McIntyre left the system last summer after about eight years. 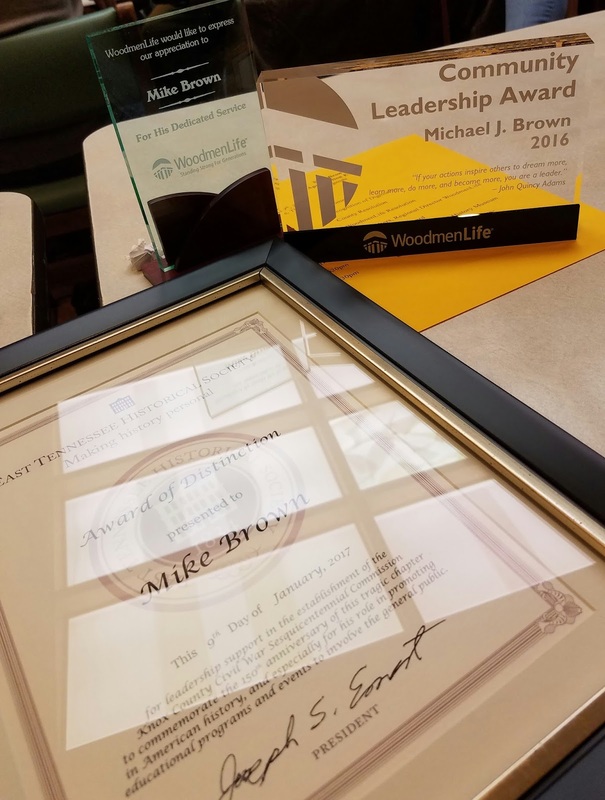 Local leaders, movers and shakers and the community met Monday night to honor former Knox County Commissioner Mike Brown. Brown, who represented South Knox County, opted not to seek re-election last year. The event was held at Shoney's on Chapman Highway in South Knoxville. There were a number of guest speakers and Brown will now need a trophy case to hold all the plaques and awards he received. 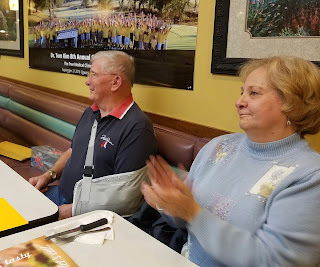 I'm posting a couple of photos, including some with Brown and his successor Carson Dailey, and Brown and his wife, Jan. There's also a group photo and a picture of some of the glory Brown received. 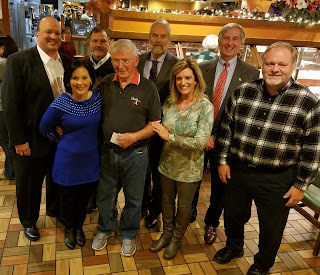 The group photo includes commissioner and mayoral candidate Brad Anders, commissioners Carson Dailey, Randy Smith, Michele Carringer, John Schoonmaker, Commission Chairman Dave Wright, Mike Brown and Register of Deeds Sherry Witt.